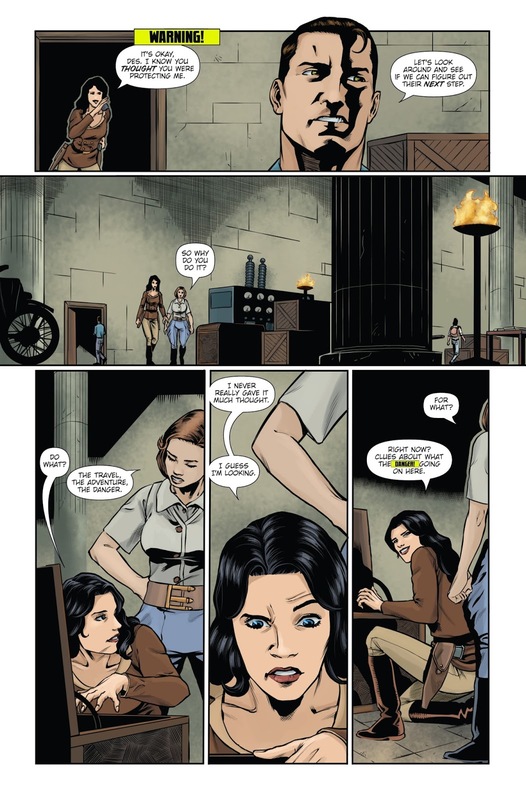 Athena Voltaire's first ongoing adventure is collected here! 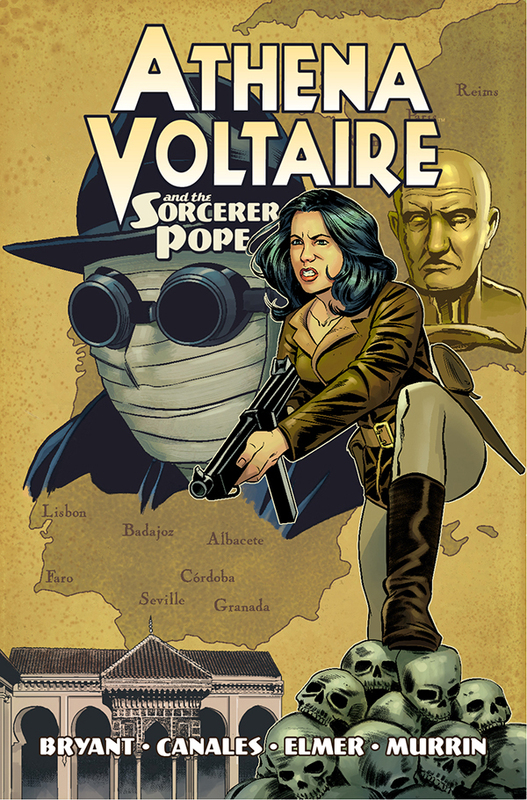 The pulp heroine is in a race against the Nazis to find an artifact once possessed by Pope Sylvester II. 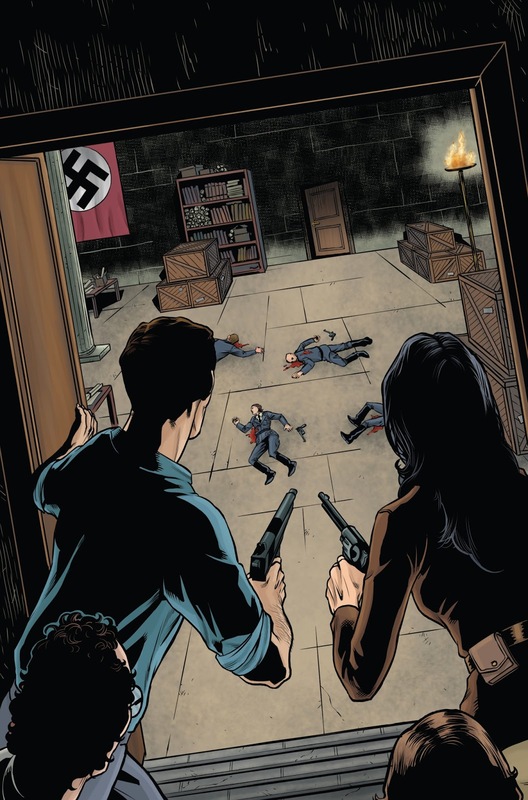 The legendary Athena Voltaire has been around for over a decade and her series was previously nominated for an Eisner. 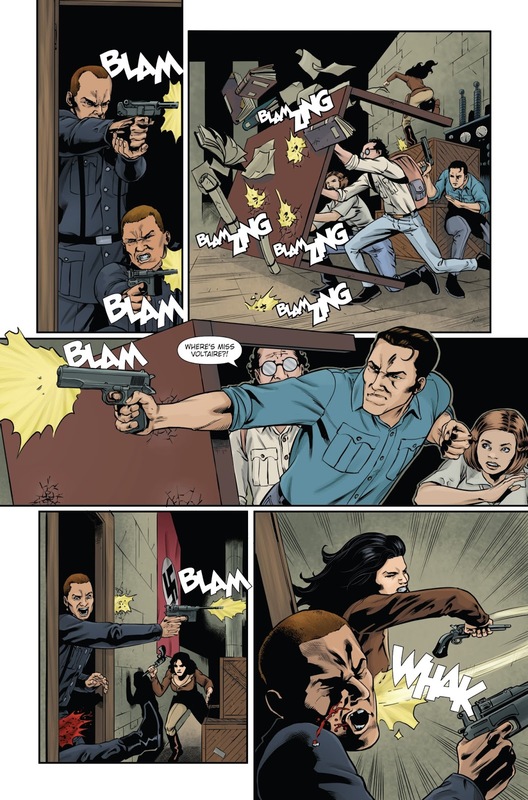 Writer/artist Steve Bryant is an Eisner, Manning, and Harvey Award-nominee. 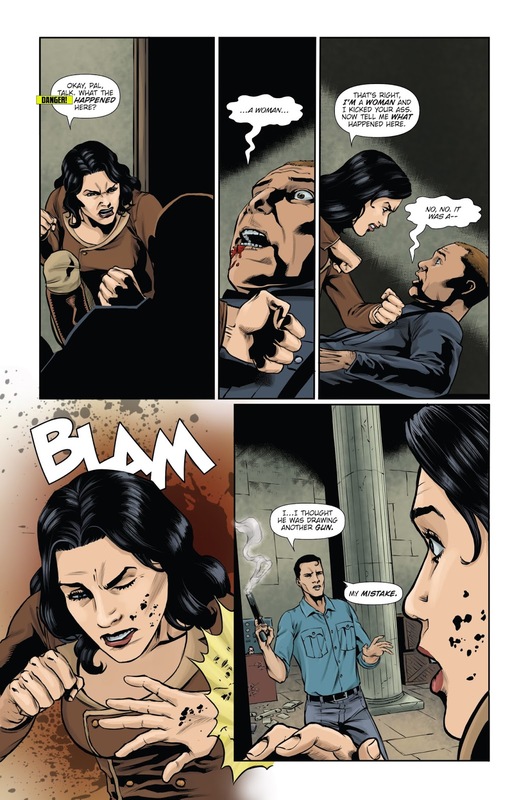 Writer Matt Fraction (Invincible Iron Man, Uncanny X-Men, The Immortal Iron Fist) comments that "Athena Voltaire is just my kind of glorious pulp epic. 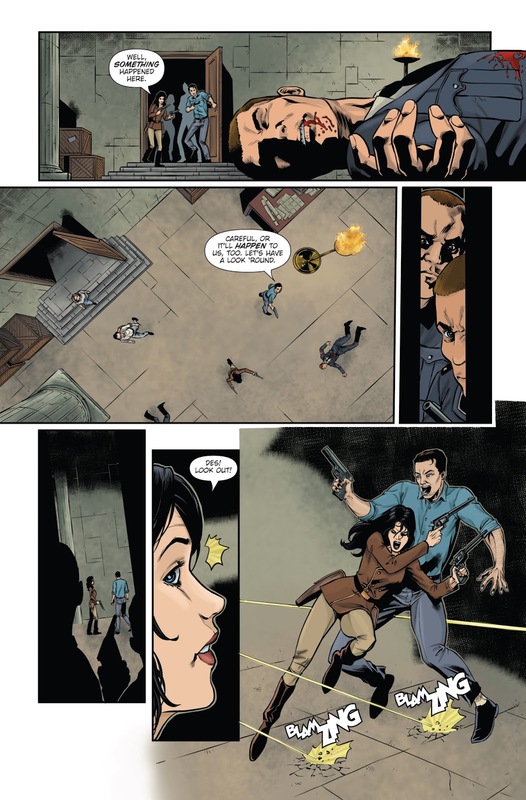 A comic lover's comic book if there ever was one, full of everything that makes comic books worth loving." 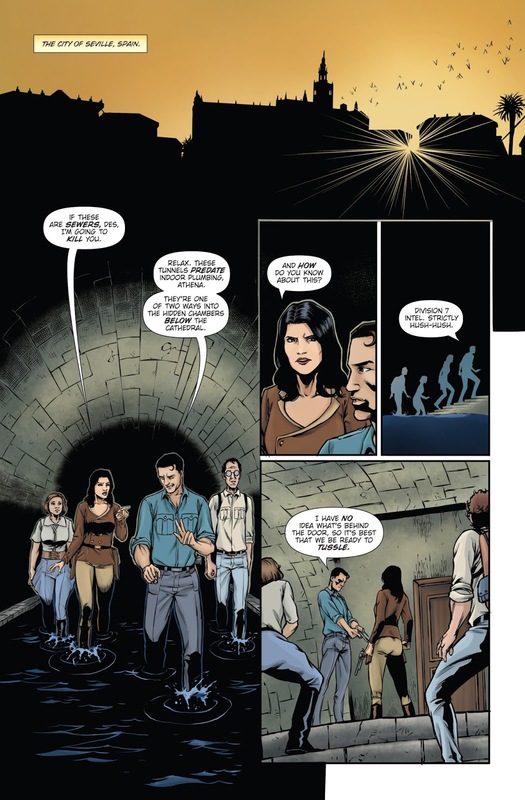 Fans of pulp tales like Indiana Jones, Uncharted and Tomb Raider will love Athena's adventures!